Contrary to the film of DreamWorks' imagining, Madagascar is not ruled by King Julien and his colony of lemurs. 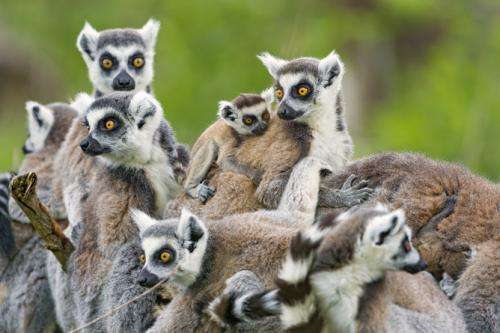 In fact the status of the lemurs on the island – the only place on earth that they exist – is a very precarious one. To try to reverse the frightening fact that 94% of lemur species are under threat, myself and lemur experts around the world have issued a renewed action plan for their conservation. We highlight three key ways to save lemurs: community-based conservation management, the long-term presence of researchers at field sites, and ecotourism. While the action plan separately identifies these three areas, they do not exist independently of each other. In particular, community-based conservation management and ecotourism have the potential to work very well together. Madagascar's political problems have helped make lemur species the most endangered group of mammals on the planet. A coup d'état in early 2009 left the island nation with a ruling regime that was not recognised internationally and a regime leader too young under Madagascar's constitution to assume the presidency. Western nations warned their nationals against all but essential travel to Madagascar and tourism to the world's fourth largest island plummeted overnight. There are currently 106 species of lemurs in Madagascar (new species continue to be discovered) and their natural forest habitats especially suffered from this political turmoil. Increased banditry, illegal logging in national parks and nature reserves, and a sharp increase in the hunting of lemurs as "bush meat" has left them facing extinction. Ecotourism can allow rural communities in Madagascar to earn revenue for protecting lemur habitats; create economic incentives and benefits for local residents; and facilitate locally supported conservation efforts. Also, ecotourists can be educated and gain insight into the special biological and cultural qualities of the region. Organised from the bottom up, ecotourism can be sensitive to local concerns and be a sustainable form of development. Ecotourism is not always the answer to conservation problems. But if implemented with careful planning, and as a part of a broader conservation strategy, it can be one tool among many to address conservation issues. Much research shows that ecotourism can be effective when part of a community-based conservation approach. It is this broad approach that is proposed in the new conservation plan. While Madagascar is one of the world's top biodiversity hotspots, lemurs easily represent the country's "brand" for drawing ecotourists. The success of Rwanda's and Uganda's mountain gorilla ecotourism ventures shows that ecotourists are certainly willing to pay a premium to observe rare species in their natural habitat – Madagascar can provide that in spades. One success story that can serve as a model for promoting lemur and forest conservation at other sites across Madagascar is centred on Maromizaha Forest in the eastern part of the island. This vast forest is rich in biodiversity, including no fewer than 13 lemur species. With good transport links to the capital and the east coast, Maromizaha is readily accessible to ecotourists who want to do a bit of hiking. Outreach to the local community has included building a multi-purpose interpretive centre, training several villagers as guides and making English and French courses available to them. 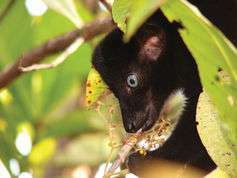 Researchers from universities around the world have worked with local schools to develop a heightened appreciation of the unique biodiversity there. They have also suggested new agricultural techniques and methods of crop production to the community. These new developments have been welcomed by the local people, as they have seen their quality of life improve. While just eight visitors came to visit Maromizaha Forest in 2008, by 2,011 that number had increased to 208. The project has developed into an important source of income for the local community. If Madagascar's political landscape can remain stable in the future, there will be opportunities for many stories like this one. To be successful, ecotourism ventures must include a significant degree of participation from local communities. This means working with individuals in the community, with local groups and existing NGOs and helping authorities enforce the boundaries of forest reserves and protected areas. Maintaining a long-term presence of field researchers can help build relationships with local communities, as well as providing feedback on how projects are going. By training up locals, researchers could at some point step back and let the communities themselves sustainably run ecotourist operations. The new plan represents a coordinated conservation strategy. The plan requires engagement with local communities, ecotourism and the long term participation of field researchers. It is actually a combination of 30 action plans, each targeting different sites of importance for lemur conservation. Notably, a huge amount of land could be conserved for a relatively small amount of international aid (US$7.6 million). Ecotourism driven by lemurs, along with research inspired by them, would contribute significantly to that cost.